Getting more out of life starts with getting more out of where you live! Nestled in Littleton, Colorado, near the foothills of the Rocky Mountains and located on the shore of scenic Johnson Lake, our location is exceptional! Just steps outside your front door are walking paths leading to restaurants, coffee shops, retail shops, as well as a bookstore, theater, banks, shopping mall and the public library. Additionally, the Swedish Healthpark clinics and emergency room are right across the street. 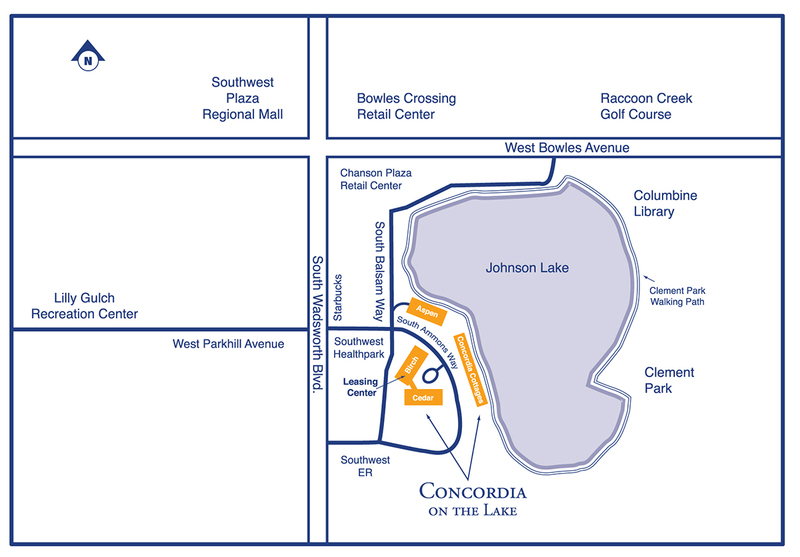 The Concordia campus is a senior rental community comprised of three 3-story apartment buildings, 22 lakeside cottages, our Event Center and walking paths to nearby Johnson Lake. 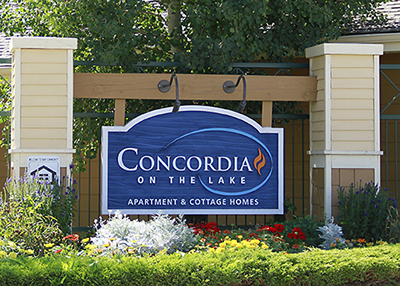 Concordia on the Lake Senior Housing offers one-bedroom and two-bedroom apartments. Apartment buildings feature central elevator, common social areas, a mailroom, a library, and detached garages. Each apartment has it’s own private patio or deck to offer additional outdoor living space. There are nine different apartment floor plans to choose from. 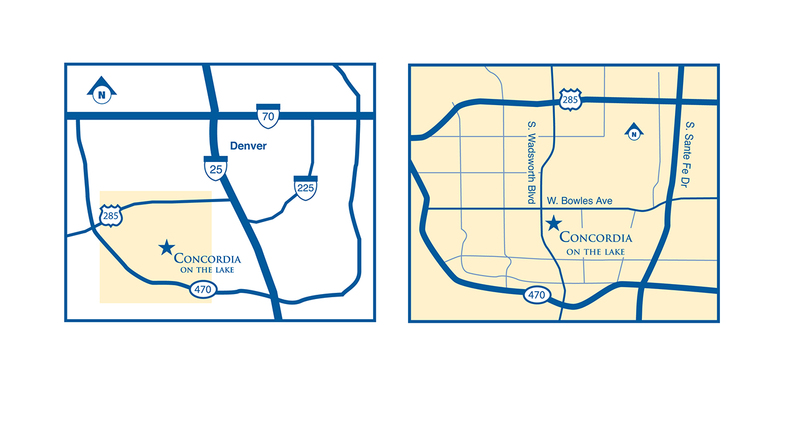 The Cottages at Concordia are comprised of 22 homes with five well-designed floor plans. These craftsman style duplexes and triplexes feature large covered porches, private entry patios and attached one car over-sized garage. 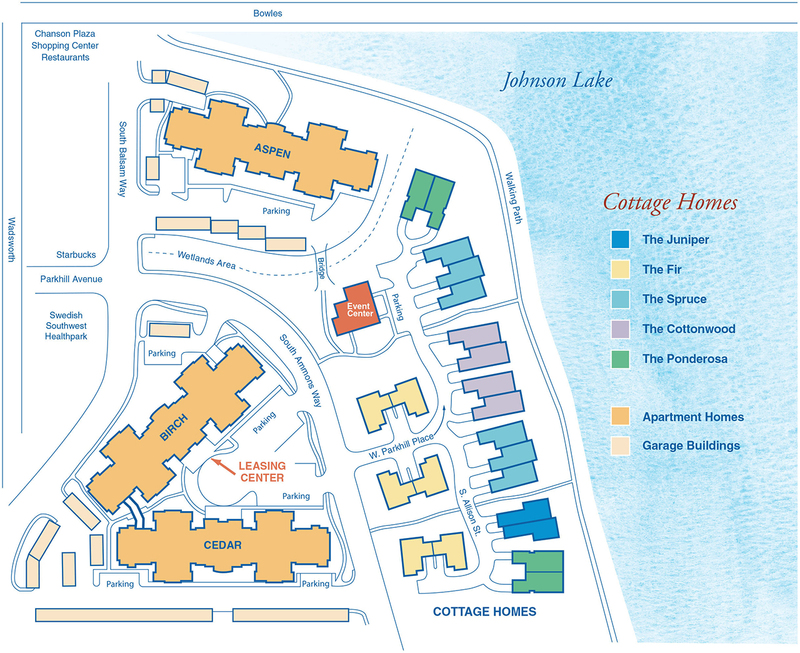 Sixteen of the cottages are located on the shore of Johnson Lake and overlook Clement Park. Our Event Center serves as a central gathering place for the entire Concordia community. A spacious 3,000 square foot multi-use room features a gorgeous vaulted ceiling with upper windows, a dance floor, baby grand piano and an upscale catering kitchen. A welcoming covered porch invites residents to mingle with each other while enjoying our beautiful Colorado weather. Also located off the back of our Event Center is our guest suite; a lovely space where residents’ family and friends may stay while visiting.